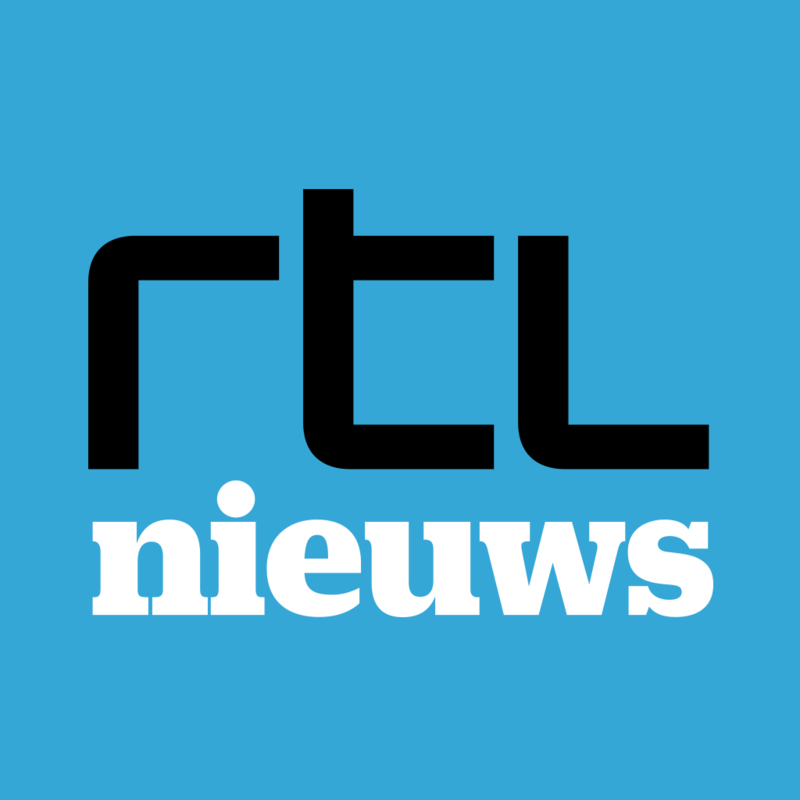 RTL 7 - Smart city - Carolien was interviewed about our research on the importance of play using a highly innovative technique. Quest Psychologie - Carolien answers the question: Why do children like to watch scary movies? 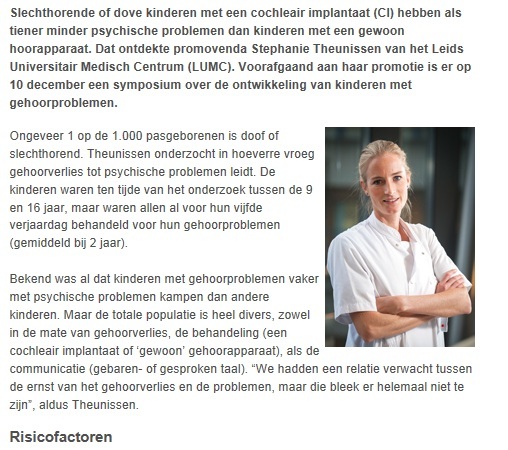 Nederlands Tijdschrift voor Geneeskunde - A news item about our article published in Ear & Hearing on psychopathology in children with cochlear implants. 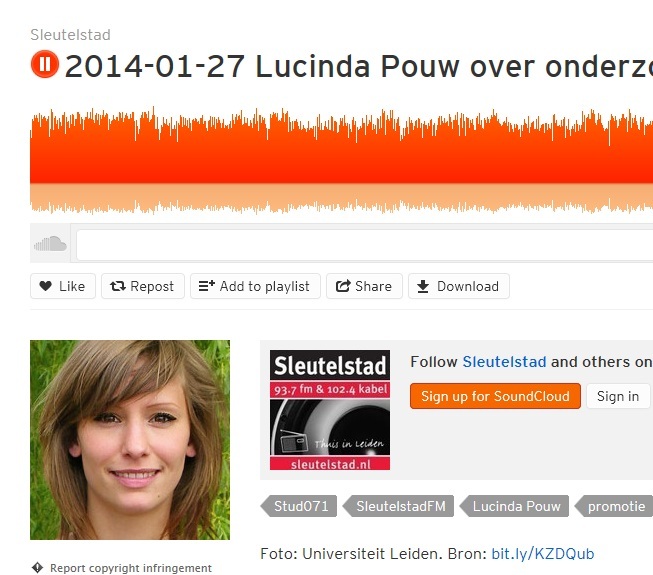 Sleutelstad - Carolien was interviewed about the legacy of Nico Frijda for the radio programme Science 071 on April 22. 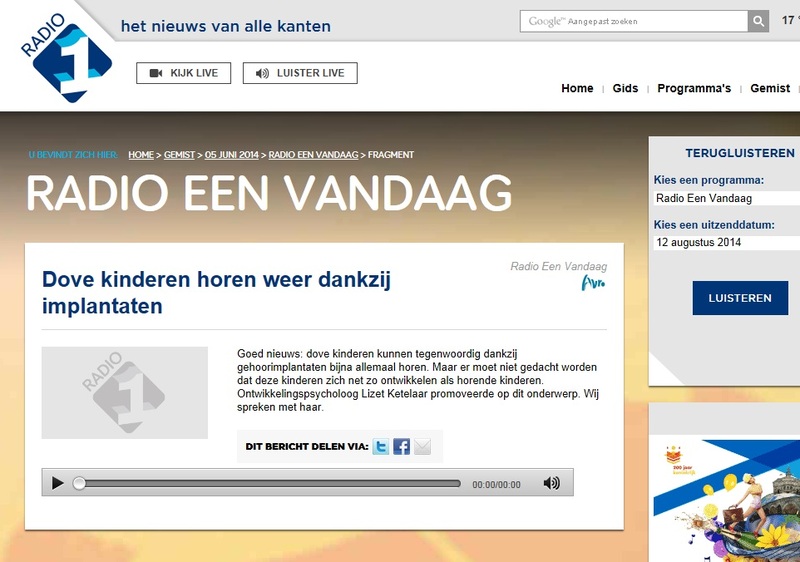 Radio Een Vandaag - An interview with Carolien on autism which was broadcast on Radio One on April 7. 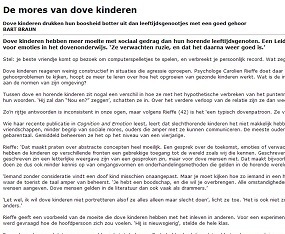 Emotionele Ontwikkeling als Basis - Carolien wrote a blog post about quantitative versus qualitative differences in the development of children with ASD. 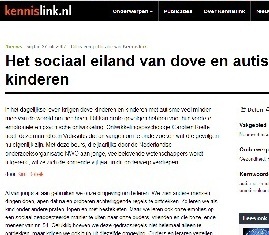 Nederlands Dagblad - An interview with Carolien interview about some of the recent findings on children with autism in light of Autism Week. 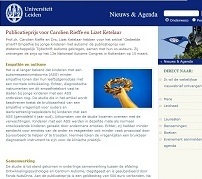 Leiden University - A news item posted during Autism Week, for which Carolien was interviewed about our recent research outcomes. NRC-NEXT - Carolien's interview about the heated discussion whether Black Pete is racist or not. NRC - Carolien's advice about people's negative thoughts over the World Cup's result for Oranje. 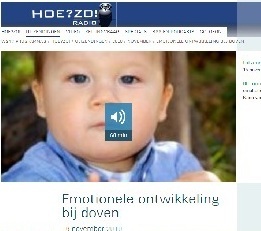 Radio EenVandaag - Lizet was interviewed about the social-emotional development of deaf children with a cochlear implant by Radio EenVandaag on June 5. Listen to the interview (starting at 47:40). 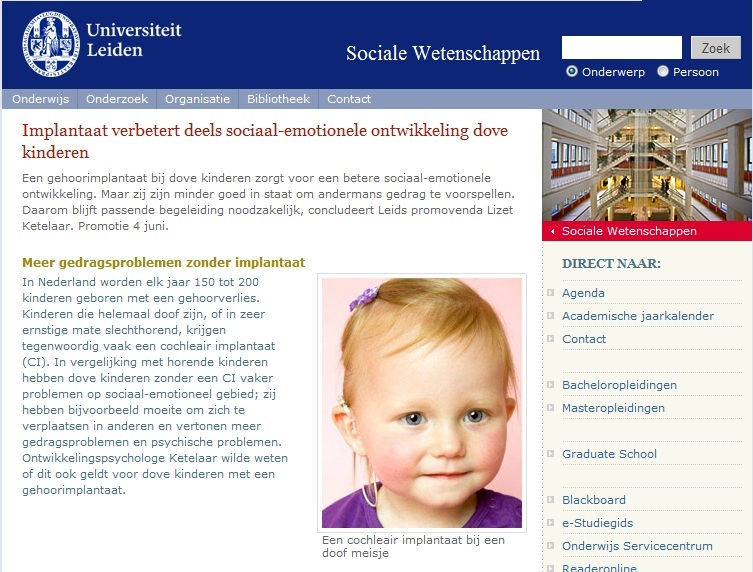 A number of websites posted items about Lizet's PhD project concerning social-emotional outcomes in children with cochlear implants. 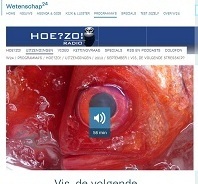 Read the (Dutch) articles on Leiden University, doof.nl, Kentalis, and Mens en Gezondheid. 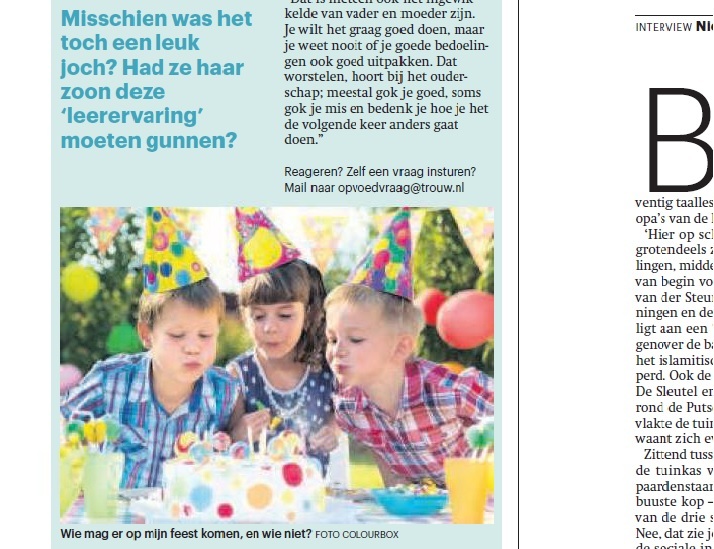 Trouw- What to do when your 5-year-old feels forced to invite a classmate to his birthday party? 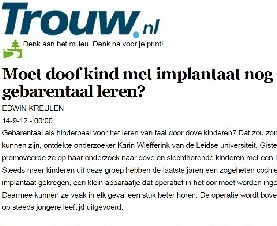 Carolien Rieffe answers this parenting question in newspaper Trouw (in Dutch). 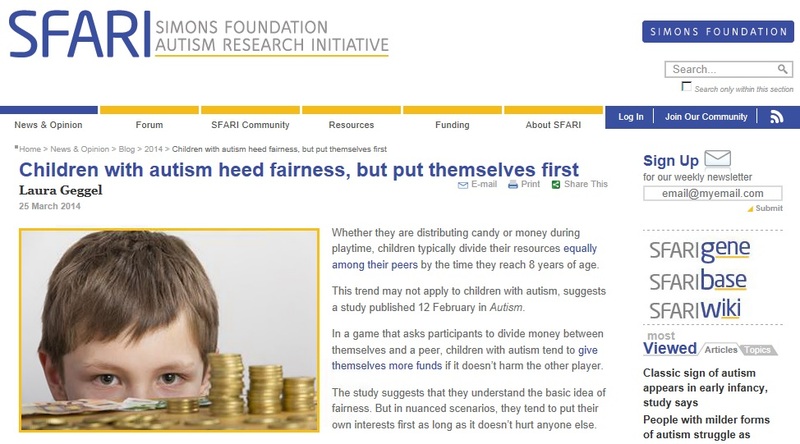 SFARI - The Simons Foundation Autism Research Initiative posted a blog about our recently published study on fairness in children with ASD. 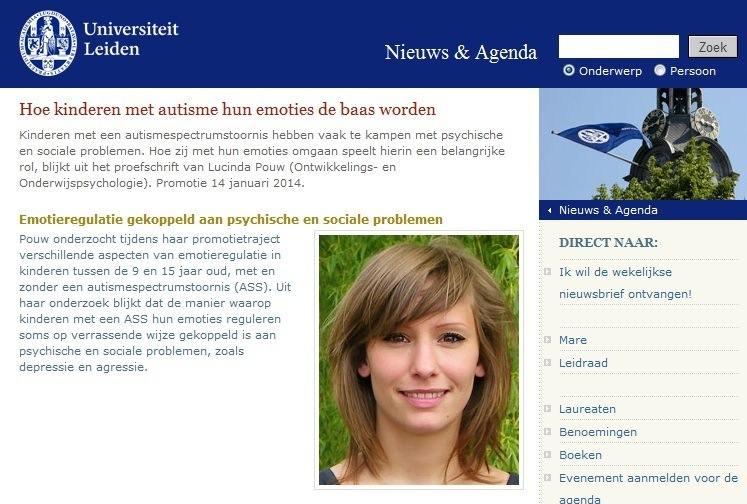 Lucinda Pouw's PhD research on emotion regulation in children with ASD received attention on several websites. 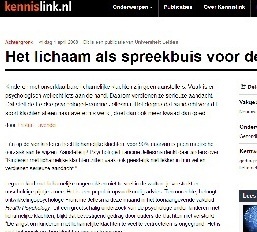 Read the articles on Leiden University and Klik. 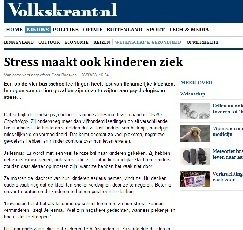 Eos - Short article about Carolien Rieffe's research on empathy in children with ASD. 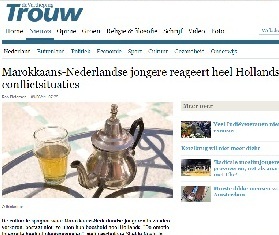 NVO - Article written for the NVO by Carolien Rieffe. The topic of this article is the emotional development of children with Autism Spectrum Disorder (ASD). 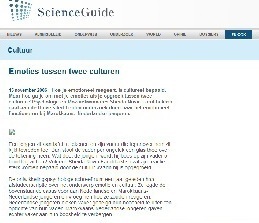 NWO - Article about Maartje Kouwenberg's research on social-emotional development of deaf or hard hearing youth in a hearing environment. 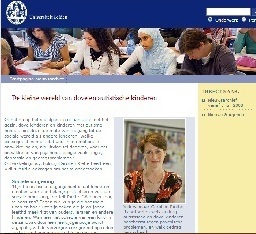 Leiden University- Article about Carolien Rieffe's research on empathy in children with ASD. 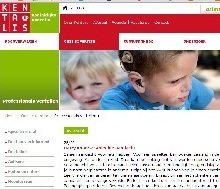 Kentalis - Article about Karin Wiefferink and Carolien Rieffe's research on emotion recognition and emotion regulation of children with cochlear implants.